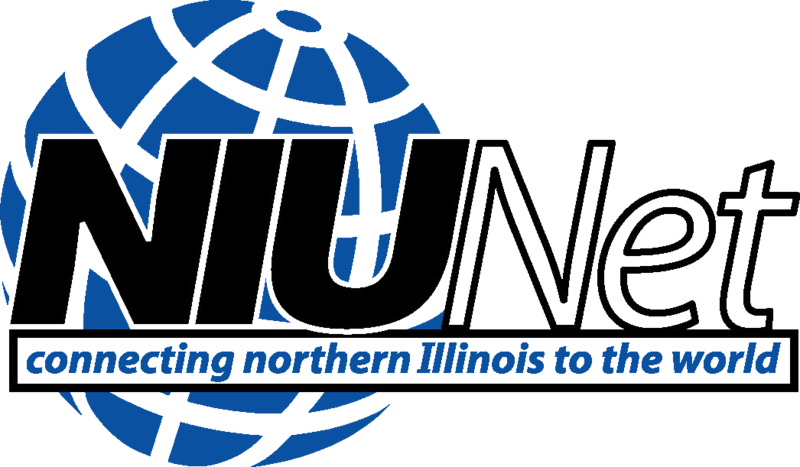 Kane County's fiber is exceptional because it connects the networks of municipalities; educational institutions, such as Northern Illinois University; and the I-88 and I-90 corridors. Our fiber optic cable is ready to help your business prosper with powerful connectivity to the internet and to data storage. Working with data partners, Kane County has provided connectivity to its citizens and organizations. This allows them to transmit data in a reliable and cost-effective manner. As the network has evolved over the last 5 years, public and private partnerships have been formed with various providers. Within Kane County, organizations have received access to new services, helping them reduce costs and augment services provided to end clients. 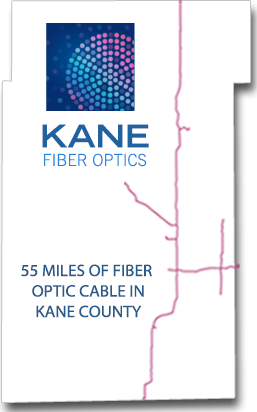 Kane County Fiber Optics partners offer a variety of services, including Engineering and design, dark fiber leasing, lit fiber, high-speed internet access, data storage, data center and cloud service providers, disaster preparedness, and business continuity. The goals of the Kane Fiber network are to improve the services available in the county, improve the interoperability between various departments within the county, provide additional disaster preparedness, and reduce the high costs associated with leasing facilities from communication carriers. As the network has evolved over the last 5 years, Kane County has formed public and private partnerships with various providers. Within Kane County, organizations have received access to new services, which helped them reduce costs and increase network reliability. These new services provided by our partners include Gigabit Ethernet (GigE) internet access, offsite storage capability, virtualization, cloud computing, co-location services, and metro Ethernet, as well as many others. By promoting Kane's fiber network’s assets, the county is helping organizations within the county meet their technological needs today, tomorrow, and in the future. As the Kane County network expands and evolves over time, another service that organizations and citizens will be able to take advantage of is fiber to the premises (FTTP), also known as fiber to the home (FTTH). FTTP is the installation and use of fiber connected from a central point directly to individual buildings, such as residences and businesses, which provides unprecedented high-speed internet access. All across America, communities are rewiring for the future with fiber to the home connectivity. Community leaders are working toward a future where their communities are competitive in the global economy, where 21st century education and healthcare are not limited by bandwidth, and where citizens have access to better services. No community can afford to be left behind in the all-fiber revolution. Sparked by the vision of Kane County leaders, the county has constructed the infrastructure to deliver of the technologies citizens and organizations need today. The Kane County Fiber Optic Network came about in 2011 through a partnership with the Transportation Division of the Kane County Traffic Management Network. This partnership helped the county reduce the cost of constructing the network and allowed valuable services to be offered to organizations throughout the county. The fiber network was initially utilized to consolidate public safety and health information systems and county branch offices, connect schools, colleges, and universities to the internet, and provide other data services. Working with data partners, Kane County has provided connectivity to its citizens and organizations. This allows them to transmit data in a reliable and cost-effective manner. By consolidating offices and reducing the amount of leased facilities from the communication carriers, the organizations utilizing the Kane County fiber network have received tremendous cost and service level benefits. As the network has evolved and matured from its beginnings in 2011, additional fiber runs have been made to extend the reach of the network. The additional fiber runs throughout the county have helped increase the number of organizations that can take advantage of the network and provide connectivity to data centers on the network. This connectivity allows organizations to take advantage of enhanced services provided by data centers such as cloud, co-location, data storage, HIPAA compliance, redundancy, and other services provided by data center providers.